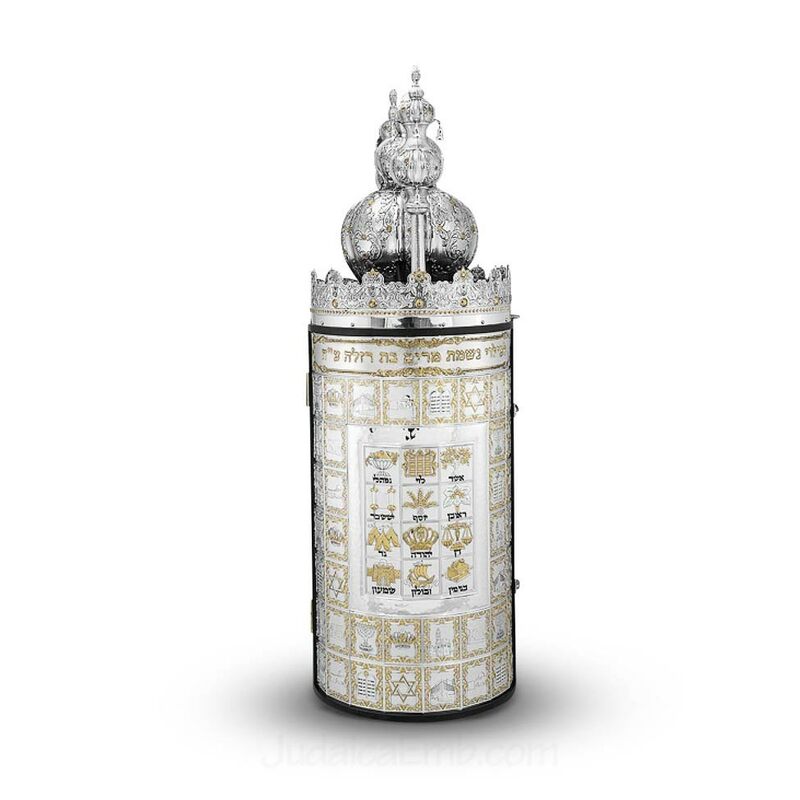 Indulge in warmth with this beautiful, lustrous silver Torah Case. Please note: Due to fluctuations in silver prices, please contact us for exact quote and availability. Price may subject to change without notice. Have you seen our entire selection of silver Torah ornaments? Be sure to check out our exquisite line of synagogue embroidery which includes parochet - ark cover curtains, Torah covers & mantles, bima & amud covers and bein gavrahs.